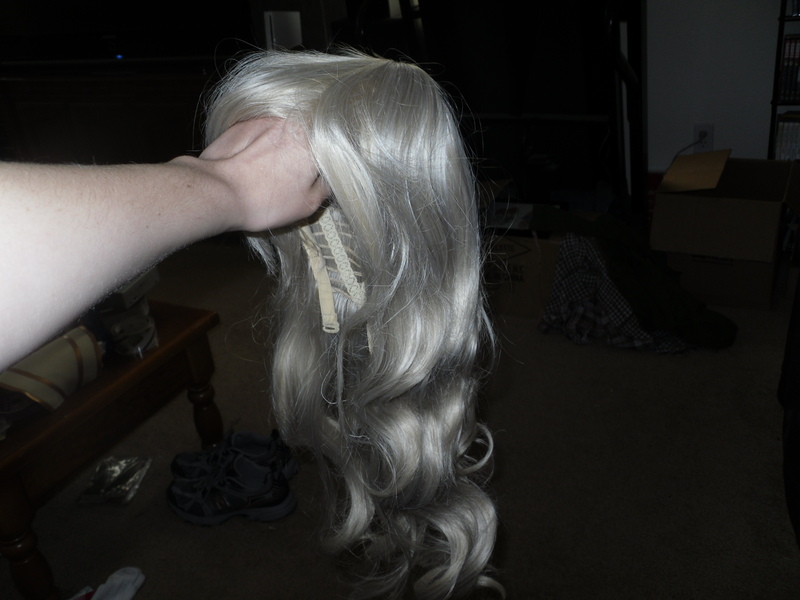 Back in June, I was searching frantically for some blond wefts that would match my base wig for my Tyrigosa costume. All I found were human hair wefts, wefts that were ridiculously expensive, and loose hair that may not dye right and that I’d have to make into wefts myself. Then it dawned on me that I could simply buy a second wig (at $25 for a fantastic quality wig that dyes well, it isn’t bad) and cut the wefts from it. Easy peasy. 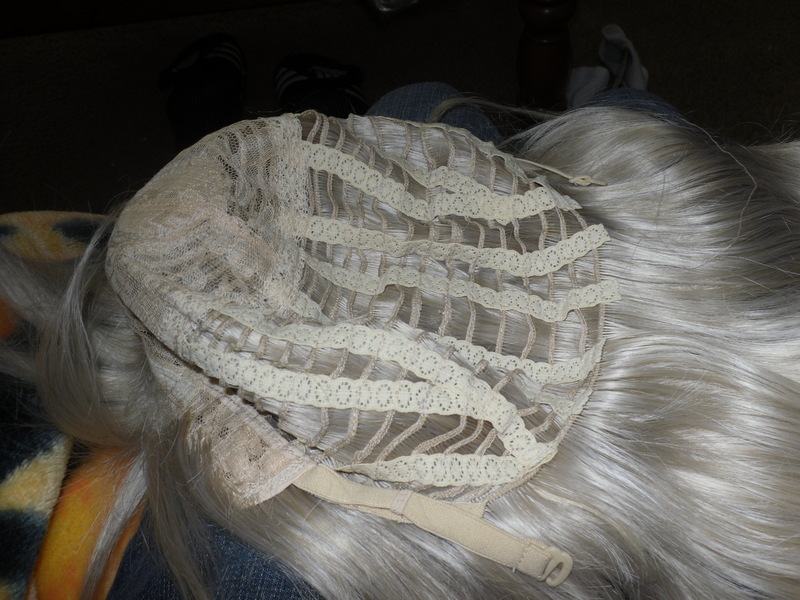 Then I could dye them, and sew them onto my existing wig. Thus starts my series of posts on how to deal with wigs. Hooray! This is the same type and brand wig that I’m using as my base wig. I’m doing this because, since I am adding wefts that are also going to be dyed to the wig, I want all the colors to be perfectly matching. See the lines made by the elastic going down? 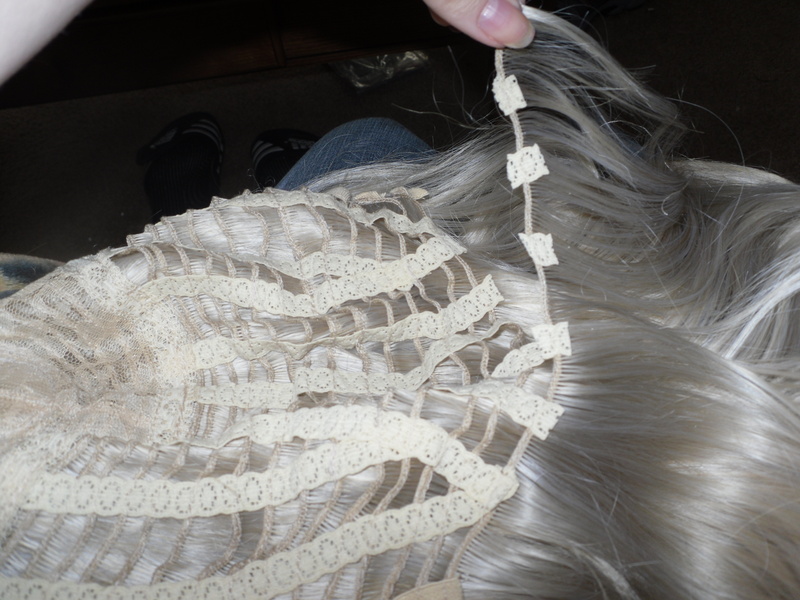 We’re going to cut those as we cut the wefts from the wig. 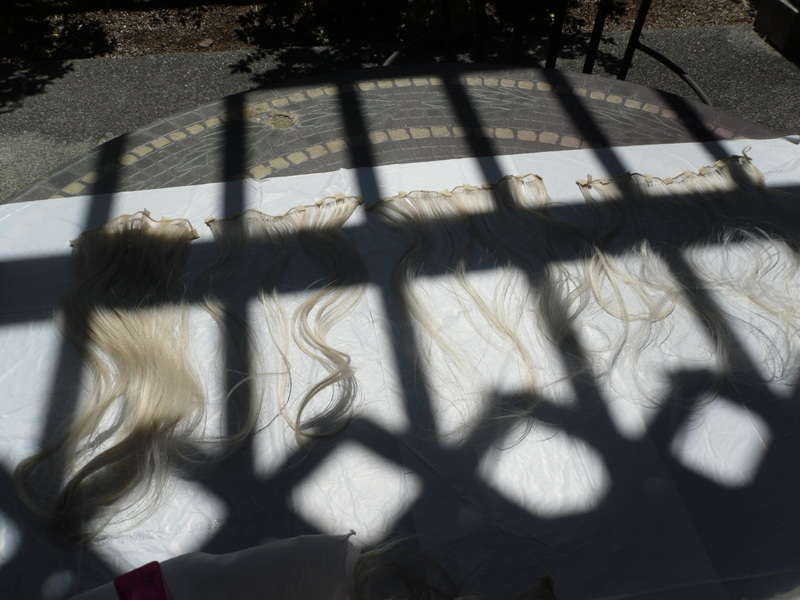 I didn’t realize how bad the shadow was from my back yard, but it’s the only place I had to put the wefts. Anyway, this is what they will look like all laid out, and ready to be dyed! Stay tuned for my next post on how to dye using the FW ink method!